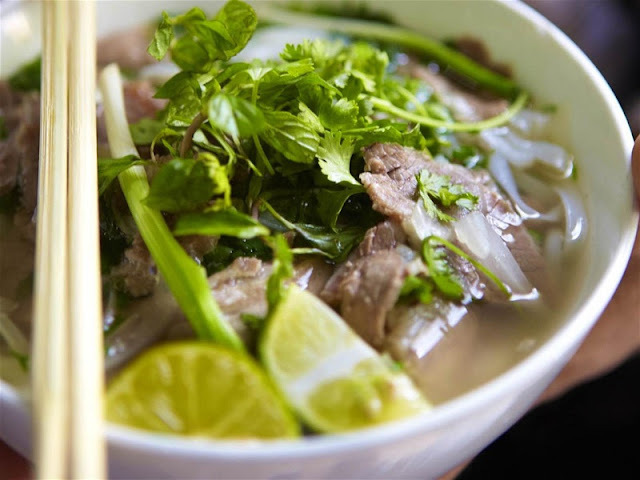 Lonely Planet has recently released a list of 500 leading culinary experiences in the world, in which Vietnamese Pho continues to be honored, ranked at 20. Lonely Planet recently released a book titled, "Ultimate Eatlist: The World's Top 500 Food Experiences ... Ranked." Notably, Vietnam's Pho was named in the top 20 experience and "fit" held at number 20, after China's roast duck. Top 20 dishes first are: Pintxos (a junk food) in San Sebastián (Spain); Laksa curry in Kuala Lumpur (Malaysia); Sushi in Tokyo (Japan); Texas beef (USA); Green papaya salad in Bangkok (Thailand); Smørrebrød (bread with different kinds of bread) in Copenhagen (Denmark); Lobster land in Kaikoura (New Zealand); Bibimbap (rice mix) in Seoul (Korea); Pizza margherita in Naples (Italy); Dim sum (Hong Kong); Ceviche (raw fish salad, Peru); Pastéis de nata in Lisbon (Portugal); Oysters at Freycinet (Australia); Cheese (France); Spiced Chicken in Jamaica; Sheep in Marrakech (Morocco); Fried crayfish in Singapore; Moules and French fries in Brussels (Belgium); Peking Duck in Beijing (China); Phở on Hậu River (Vietnam). The book includes introduce and recommendations from top chefs such as José Andrés, Elena Arzak and Eric Ripert; food star Andrew Zimmern; MasterChef Monica Galetti ..., and many global food experts. According to CNN, the list does not mention a perfect meal at a Michelin three-star restaurant; Instead, it describes how a dish is flavored; the cultural significance and importance of the place where the food is created and enjoyed. Lonely Planet has asked hundreds of employees and collaborators around the world to offer their favorite food experience. Then, the company's food editors and Australian chef Adam Liaw and blogger Leyla Kazim evaluated to give a list of the last 500 experiences.